This thread is now only useful if you are interested to see some planets orbiting the binary-multiple stars in the catalogs. I made this fake catalog to add some planets to binary-multiple star systems for fun. It doesn't include planets in binary browns systems, neutron stars or black holes, but you can find some of them in binary white dwarfs. Don't expect realism, for example OB stars can't form any planets due the photoevaporation effect in the protoplanetary disk and some circumbinary planets most probably are unstable. Anyway I didn't add planets to stars already with real exoplanets or with high eccentric orbits. The systems are made for a maximum of 14 planets with also a maximum of 4 big moons (there is no dwarf moons or asteroids). The systems are made with an excel sheet you can find in the download links in the BINARY-MULTIPLE old catalog. To install it download first the last Official Catalog Update and then download the Fictional binary planets and copy ExoplanetsFictional-bin.pak DIRECTLY in the addons folder. First of all, this catalog it's currently incomplete due the hard work to compile it. In this part I covered 45 constellations and more that 500 binary-multiple star systems, mainly in the northern hemisphere. I will keep adding constellations to the catalog but without an estimated time ending. I added planets to the most of the stars. You can also enable or disable the Fictional Planets file in universe.cfg (read the instructions). To add the planets I designed an Excel sheet finally becaming some kind of Excel toy. In the last page of the Excel sheet I made a Howto use guide . Compatible with single stars. For more details of the catalog read the Installation instructions text file. The More Binaries Summary text file gives you a list of all stars and the quality of their orbits. Finally the catalog was done for the 0.973 version of SE and not for 0.974 until is officially release. Anyway you can install over it with no problem, but most probably you will find some doubled binary-multiple stars in 0.974. I made this addon lot of time ago, before the 0.972 version, I never released it due the extreamly long loading times for this catalog in 0.971. Fortunately SE team did a really great job with loading times so I'm posting this now. The catalog is mainly catalog of pulsars from the ATNF (Australia Telescope National Facility) you can check that table here. I added some other known neutron stars not appering there and proper names for famous pulsars. Notice that pulsars with a period below 0.01 seconds (milisecond pulsars) would appear in the rotation period data window full of zeros, that it's due the lack of precision of SE representing such low number, but don't worry, they are rotating. I also added a couple of lists with isolated pulsars and pulsars with companions where you can check not only its name, also they location or what kind of companion the pulsar had. A lot of pulsars are located for example in Globular Clusters, others inside nebulas or even other galaxies. 2 more new neutron stars in the neutron stars catalog that I found in wiki. 6 more neutron stars not appering in the ATNF catalog. Don't forget to read the instalation instructions text file. After doing the brown dwarfs catalog, I found a table in the same website with black holes, you can visit that table here. The author of this table is profesor Wm. Robert Johnston. I coded this black holes to SE but I did some changes, you can read the details in the instalation instructions text file. Also I added a list with all BH present in this catalog. Notice that I didn`t include those with unknown distance unless I found that data in other sources. I added the real observed orbits of the stars orbiting our galactic central black hole, you can read the article here, if you want the full article download the pdf. Please read the Installation instructions that detail how to add it. 34 Black Holes with stellar mass with an stellar companion. 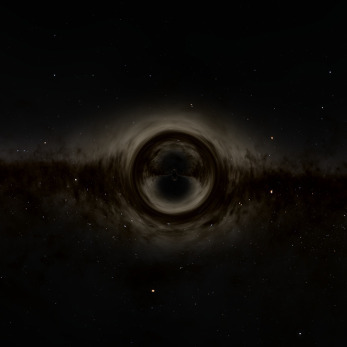 50 Massive-supermassive galactic Black Holes. -Add real orbits for the stars around the Milky Way central black hole. -Fixes some errors in the installation instructions text file. Remember to read the Installation Instructions BH.txt file to install it. 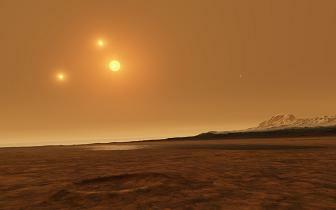 -Alula Australis system moved to More Binaries Catalog. Please don't worry to make any suggestions, corrections ... thx. This would probably cause problems since all galaxies in SE have a supermassive black hole at the center already. Well I checked all black holes including the massive galactic, and I didn`t find any problem (no crashes and things like that). The only strange thing I found is that when you fix the radius in the catalog, SE seems to choose another value randomly or its just ignoring the radius value in the catalog in the planets folder. The only problem with this addOn is that there are now two supermassive black holes in each important galaxy. What I like about it is that Saggitarious A* (and the others SM BH) can be found. However, if there is any way to merge the existing black holes and those created by you (or just make the SM BH that SE already have avariable for searching), it would be a lot better! Given the fact this thread was created back in May this year i hope im not infringing any forums rules by posting this, i don't know what are the forum rules regarding necro threads. Any suggestions?, what im doing wrong? Thanks for the catalog and thanks in advance for taking the time to read this. i hope im not infringing any forums rules by posting this, i don't know what are the forum rules regarding necro threads. As long as your response is on topic there aren't any issues to necro bumps. Could be a driver issue or hardware issue. Post your specs and driver version, your SE log file might help too. You could always read them, which I highly recommend you do since you have to follow them whether you know what they are or not. In the addon there is a list with the names of all BH in the catalog (Black Holes list.txt), press F3, add one of those names and press the G key (or G+left mouse button). If it doesn't appear the BH name in the list that opens when you add the name with F3, you didn't installed well the addon. Try for example with the names Nova Vela 1993, Nova Vul 1988, Cygnus X-1 (these have a star companion). Also you can enable orbit trajectories and see better where the BH is located, pressing the O key (not zero). Point 3: ..."catalogs/stars/BlackHolesbars.sc.sc" <- double sc ? Point 4: ..."catalogs/planets/BrownsMain.sc" <- there is no such file in the Black Holes Catalog.zip. 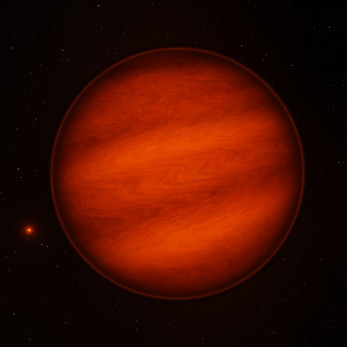 Its from the Brown Dwarfs Catalog, isn't it ? Correct text should be "catalogs/planets/BlackHolesMain.sc" ? Additional, a solution for some users: SE crashed every time i fly to a black hole. Driver: newest. Universe.cfg: entrys installed. Files: copied to catalogs as described. EnableMipmapsWarp has to be false in user.cfg on amd systems. Yes, you are right. I will correct and upload the file next week. Thank you. Corrected black holes installation instructions text file. 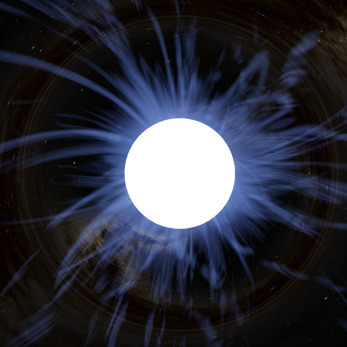 Added new neutron stars catalog. cirax, nice addOn (as usual). Were the SM-BH removed from the center of the galaxies so it won't cause problems with the ones already in the center of each galaxy? Second I not going to remove them from the catalog them because I tested all without any crashing problem besides the annoying fact of finding two nearby black holes sometimes. The other reason to don't remove them it is they are based in scientifical studies and observation so the data I provided for them is more realistic than the procedural ones (reason I'm uploading this catalogs). I added this addon successfully, but my solar system is gone!! I can't search and go to planets and asteroids. Which addons you installed? Give some some clues. It could be that you just deleted or renamed solarsys.sc or disabled the solarsys.sc inside the universe.cfg file. Also notice that my addons dont touch any files related with our solar system. Every addon, not just this addon, makes my solar system gone, i'm even not editing solarsys.sc. How do i fix this? ?